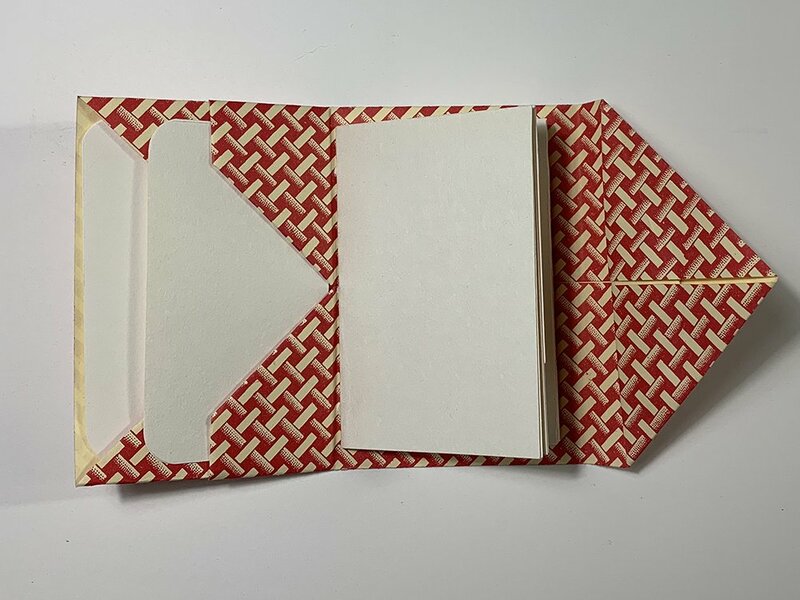 We have a year-long challenge taking place in my Facebook Group, Crafting Handmade Books, to create some of the structures in Hedi Kyle’s and Ulla Warchol’s book, The Art of the Fold. Jane Nieman is our host for the next three months and for the April challenge she has chosen structure #23, The Diagonal Pocket on page 116. “This is a satisfying structure to make. It’s quick and easy (except for one tricky fold!) and can be modified in different ways to meet your artistic or practical need. Practicalities: To increase the size of the structure, use a sheet of paper with ratio of height to width of 3:4. A sheet of paper 9 x 12 inches will make a pocket that is about 3 inches x 4.5 inches. Don’t use a heavy weight paper as some of the folds are quite intricate. The fold that I find least intuitive is the ‘squash fold’ that is shown at Step 15 in Hedi Kyle’s book. It helps to score gently along the lower edges of the folds that have just been made in Step 14 – this isn’t shown in the book. Beware also that if you use paper with a directional pattern, the inside will face the opposite direction to the outside – you can see this in the example where I used a folded map page. If you’re using a one-sided patterned paper, fold it with the pattern face down. 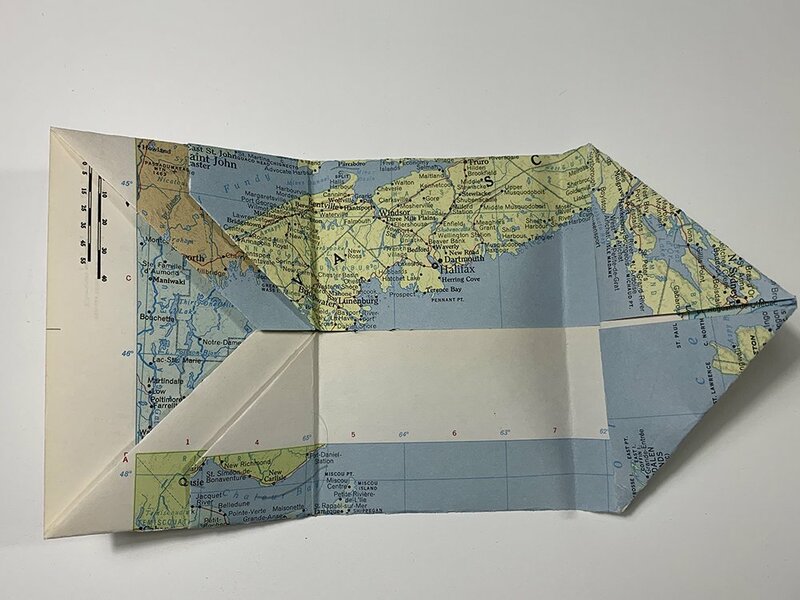 The inside of the folded map page – but beware that the front will be upside down! Modifications: Once made, you can keep the pocket empty and use it for collecting ephemera or you can sew in a signature of paper using a simple 3 hole pamphlet stitch. You could also sew in an accordion folded signature. The pockets can hold anything – more paper, watercolor paper, coordinating card stock, original art. 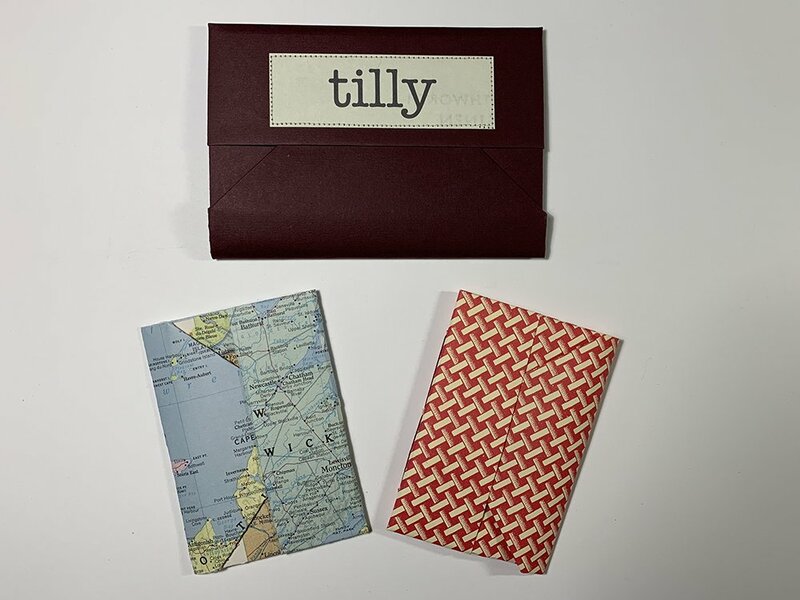 I machine sewed on the ’Tilly’ label by folding the structure, then unfolding it to sew the label in place and then re-folding. This makes a really nice personalized gift. Signature added with coordinating cardstock in the pockets. This is a great structure to use up hand-marbled or printed papers. Pinterest has some nice examples of this structure being used as both a practical and an artistic structure. 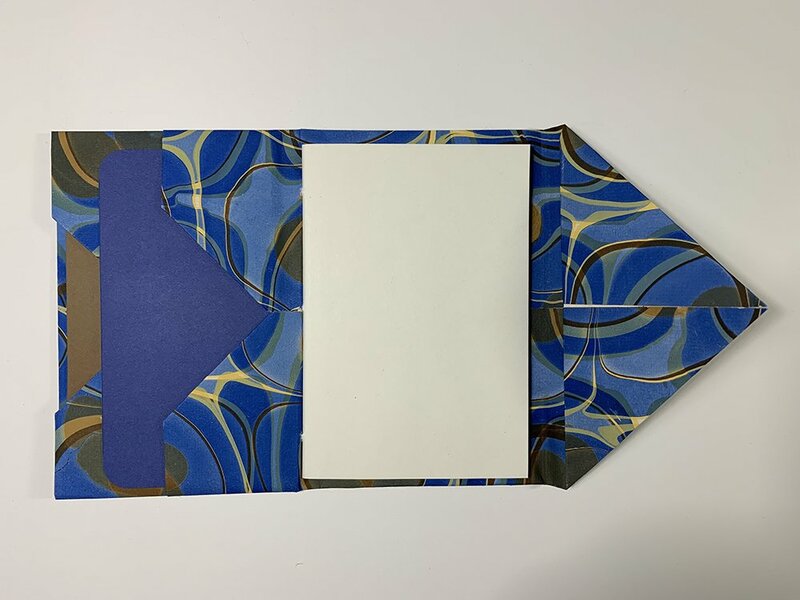 A very good tutorial can be found on Sheila Lewandowski’s blog Encasing Structure and it shows that useful score to help with the squash fold. Join us in the Facebook group or if you’re not on Facebook, post a link to your challenge book below. Hi Merilyn – I will ask Jane who made the books.